As a performer and composer, it’s my goal to share my music with anyone interested. The audio section features my guitar, banjo, mandolin, dulcimer, and Mohan veena playing in a variety of styles. There are also recordings of my original compositions for various ensembles, in some cases using live instruments, in others using sampled instruments. I’ve included a notations section for any musicians interested in getting a deeper look at my music and compositional processes. This includes leadsheets, full scores, guitar arrangements, and alternate drafts of my compositions and arrangements. 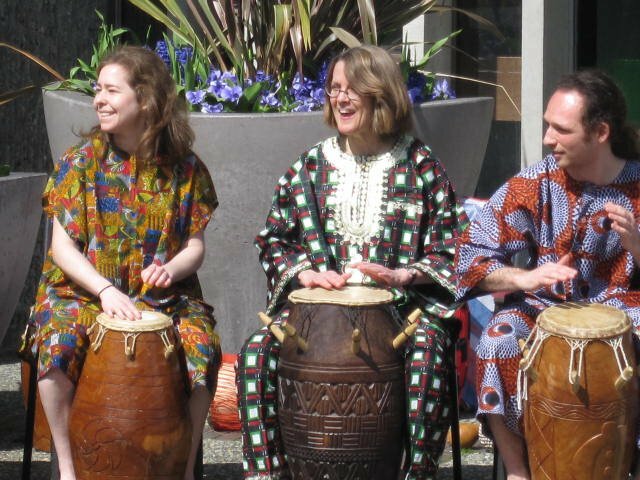 UBC African Drum and Dance Ensemble, 2012.